We strive for excellence in customer service and services provided while pushing the limits of design and installation. Get ready to turn your vision into reality. Johnny Kozlowski is the founder and still the head operator of Natural Finishings, with over 2 decades of experience in the flooring and renovation industry. He started in the commercial and residential flooring industry where his foundation of skills and specific approach to challenges that arose on a job were defined. Johnny received the opportunity to do the installs on some incredible homes; some of which were lottery prize homes, and this is where he found his niche. The care in design, the challenge in installation and the final product is what drives him on every project and keeps him wanting to learn more and find new challenges. 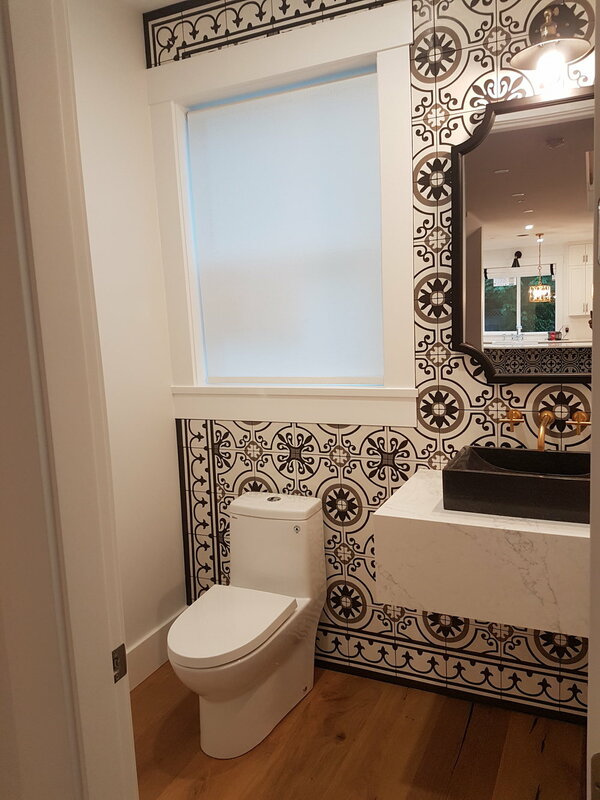 This has led to the expansion of Natural Finishings by adding the bathroom and kitchen renovation division, where we specialize in revitalizing an old space with a breath of fresh air. Johnny keeps a close eye on all facets of the company by remaining the head installer and project manager. This allows him to always maintain the level of quality and commitment to every project and install, that is what has got him and his company to where it is today. Natural Finishings continues to push the limits of the hard surface industry by taking on the most challenging installations from infinity edge pools, large porcelain sheet shower installations, floating engineered hardwood stairs, along with our renovation division expanding and now our first new construction build underway. We will remain a strong and solid company providing the up most attention to detail in all of our installations and projects so they stand the test of time alongside our company. We offer a wide variety of construction services. Click the services link to see if we meet your needs. These are double sided open ended engineered stair treads. With this process we use the flooring itself to manufacturer the stair nosing and tread all in one solid piece. This process eliminates the issue of trying to match stain and finish to the factory produced flooring. We take the stress out of your project so you can enjoy all the excitement!